Edward Schwartz and James Lenertz scored 0.93 masterpoints with a 55.9% game at Bridge On Shea. See full results of this game. James Lenertz and Edward Schwartz scored 1.42 masterpoints with a 56.73% game at Bridge On Shea. See full results of this game. Mark Olsky and Mary Olsky scored 4.50 masterpoints with a ★63.85%★ game at In Tempo Bridge Club. See full results of this game. Mark Olsky and Mary Olsky scored 6.00 masterpoints with a ★67.47%★ game at In Tempo Bridge Club. See full results of this game. Kenneth Titow and Dennis Kasle scored 0.34 masterpoints with a 54.81% game at In Tempo Bridge Club. See full results of this game. 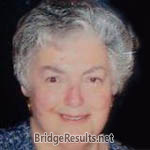 Mark Olsky and Mary Olsky scored 0.87 masterpoints with a 55.68% game at Bridge On Shea. See full results of this game. Kenneth Titow and Dennis Kasle scored 0.97 masterpoints with a 55.09% game at In Tempo Bridge Club. See full results of this game. 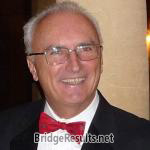 Mark Olsky and Mary Olsky scored 1.90 masterpoints with a 58.31% game at In Tempo Bridge Club. See full results of this game. 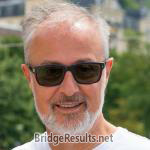 Mark Olsky and Mary Olsky scored 0.87 masterpoints with a 58.37% game at Bridge On Shea. See full results of this game. Mark Olsky and Mary Olsky scored 6.00 masterpoints with a ★64.26%★ game at In Tempo Bridge Club. See full results of this game. James Lenertz and Edward Schwartz scored 3.38 masterpoints with a 59.94% game at Bridge On Shea. See full results of this game. Mary Olsky and Mark Olsky scored 4.00 masterpoints with a ★69.96%★ game at In Tempo Bridge Club. See full results of this game.